Your 'Key' To More Solid Ball Striking! If you're looking to get more distance, be more accurate, and play with more overall consistency this coming golf season, then you'll want to learn how to perform this 'key' swing element that, when improved and mastered, will help you become a more solid ball striker with each and every swing... and a much better player virtually overnight! So, what's this all-important swing 'key' I'm referring to? As the 1st Director of Golf Fitness on the PGA Tour, I remember Jack Nicklaus telling me about how his first golf coach, Jack Grout, would place one hand on Jack's forehead as he made full swings. 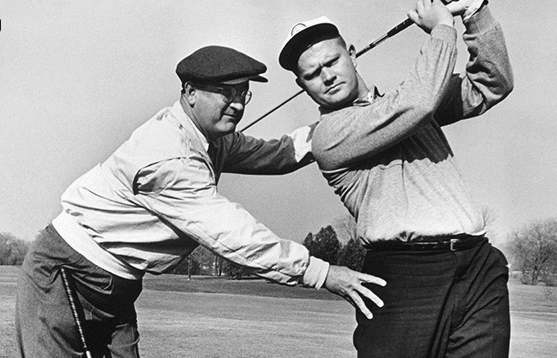 What was Jack Grout helping Jack Nicklaus do by holding his head steady during full swing practice? The answer's quite simple. The 'key' swing component I'm referring to is maintaining a steady head and stable spine angle... the virtual 'magical cure' for what ails any golf swing that's not producing a consistently solid ball strike. Without a doubt, results from bio-mechanical research of the top ball-strikers in the world today that produce high-level accuracy, consistency and explosive power with their swings ALL show that they have the physical ability to maintain a very stable head and spine angle... all the way through the hitting zone (the rotational phase of the forward swing just prior to impact, during impact, and all the way to the full release position). Maintaining a 'Stable' Head and Spine Angle is Key for Solid Ball Striking! Now, let's be totally clear. It's not that your head can't move at all during your full golf swing. Your head most certainly can move back away from the target as you're winding up and loading into your full backswing. 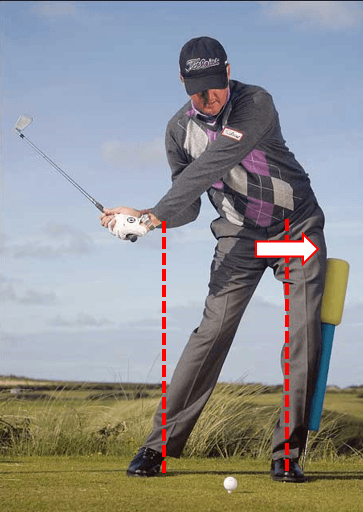 It can also drop down slightly during your forward swing as your hips and legs press down into the ground for greater 'ground reaction forces' and more swing power. But, as you're accelerating your body and building swing speed through the rotational phase of the forward swing, your head and spine need to function as a stable, rotational axis for your club to properly swing on the correct circular path and for your clubhead to consistently compress the golf ball on the center of the clubface. Maintaining a stable head and spine angle is the 'key' factor of your swing that will generate the most solid shot possible! So, if this is the 'key' element of your swing that is so vital to hitting solid shots and playing better golf, you'd better know how to master it as quickly and effectively as possible... right? The challenge, of course, is that you... and every other golfer in the world... have a different combination of 'physical' imbalances in your bodies that interfere with your ability to achieve and maintain a stable spine angle through the hitting zone. Some golfers have 'posture' issues blocking proper address posture and their ability to rotate effectively through their swing. They, in turn, compensate for their lack of spine and/or hip rotation by moving their head/spine too much laterally and/or up and down during their forward swing. Other golfers lack strength and stability in their core so they, instead, slide their hips/pelvis forward toward the ball through the hitting zone. So getting evaluated by your golf coach to check out 'what' spine angle swing compensations you're making... and scheduling an assessment with your golf fitness training expert to determine 'why' your body structure is causing you to lose your spine angle is vital! 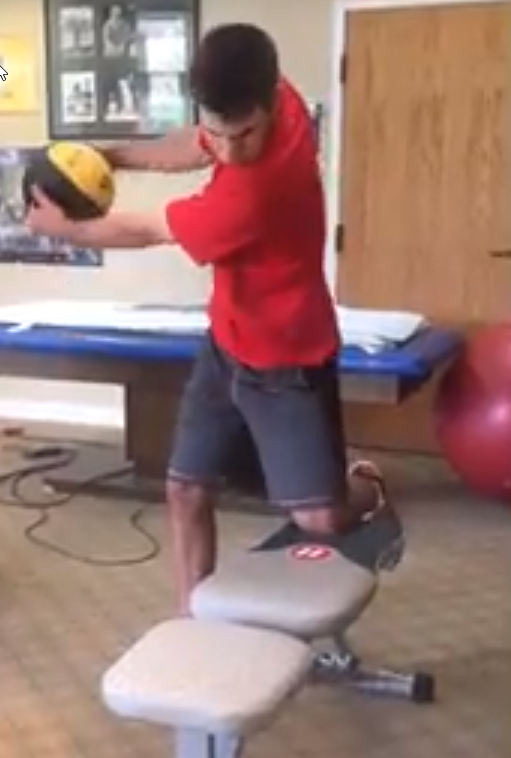 But, until you get evaluated, here's an exercise and swing re-education drill you can try that's been very helpful to many of my golf fitness clients with unstable spine angles issues. Practicing this drill regularly for several weeks... in combination with any other hip and spine rotational flexibility and/or core rotational strength and stability exercises... can help you quickly develop the physical ability to maintain a more stable head and spine angle through the hitting zone. 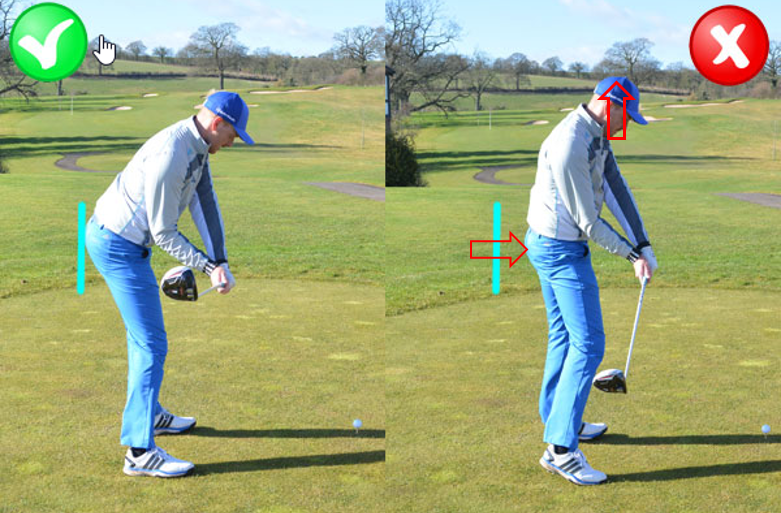 It's clear, all the best ball strikers on Tour keep their head and spine angle very stable through the hitting zone. It's really the 'key to all striking consistency! And remember, If you'd like your swing checked out for FREE... CLICK HERE NOW! 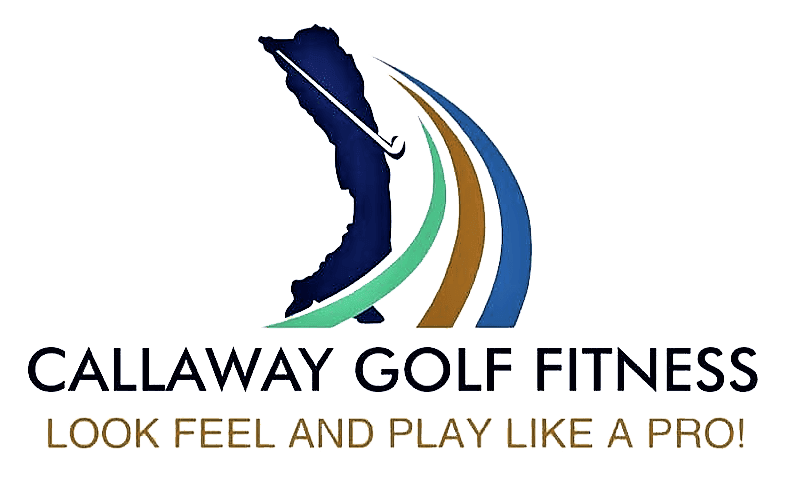 I'll be happy to evaluate your swing video and provide you with my recommendations for how you can improve your golf 'body' and swing. 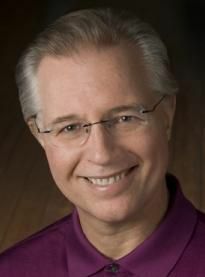 "Dr. Paul Callaway's '1% Club' Membership Program has changed my total game! From the remote custom program that Dr. Callaway designed for me, I've been able to build my body, work on my 'mental' game and improve my swing... all from my workout area in my home! My golf fitness has improved so I'm much stronger and more flexible, my measured swing speed has increased by 23 mph with my driver in just 6 weeks and I'm now hitting the ball 37 yards longer off the tee. I'm much more confident and I'm having so much more fun when I play! I'm so glad that I discovered this program... I highly recommend it to 'any' golfer out there who's sick and tired of wasting their time with programs that don't work, is really ready to improve, and wants a program that doesn't cost an arm and a leg!!! Stop searching and become a '1% Club' Member TODAY!"